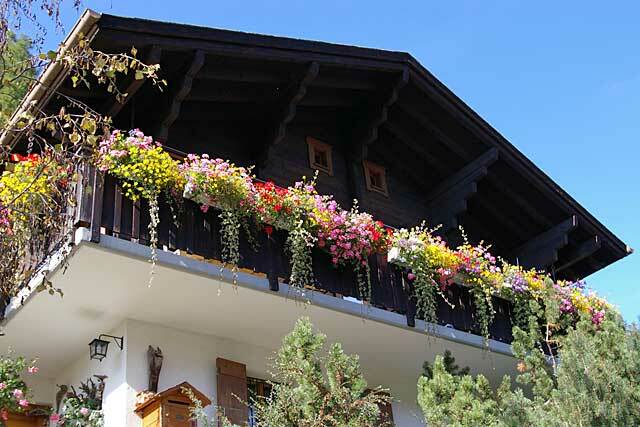 Example of a wooden balcony with a great variety of decorative flowers. Example of a wooden balcony with a great variety of decorative flowers. This image was taken in Switzerland.